Earlier this week, the Hunters Heritage Council inducted Sen. Dean Takko, D-Longview, and Rep. Brian Blake, D-Aberdeen, into the Hunters Heritage Council Hall of Fame. 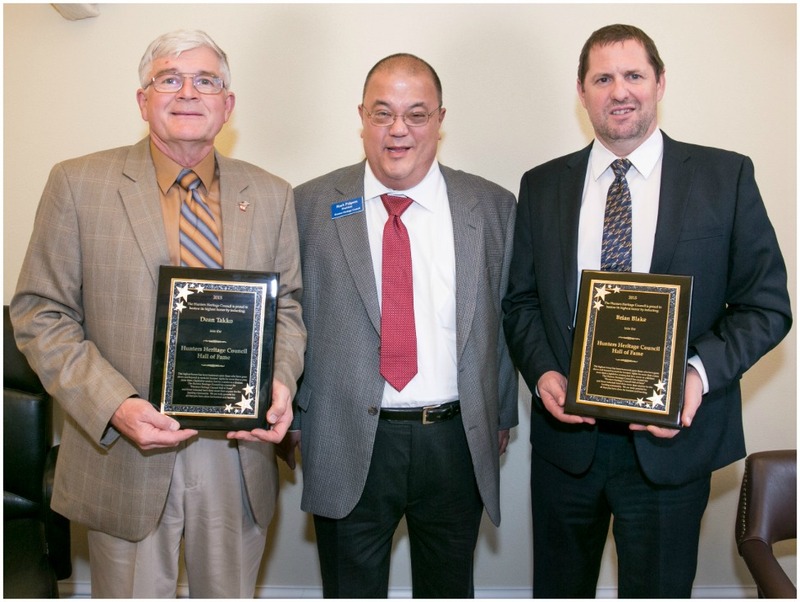 This recognition was presented to the 19th Legislative District lawmakers by the Council’s president, Mark Pidgeon. It is the highest honor bestowed by the organization upon those who have gone above and beyond to work for hunters’ rights during their careers or lifetimes. The Washington-based Hunters Heritage Council, which represents nearly 30 hunting, trapping and fishing organizations across the state, is dedicated to political action on behalf of the hunting and related communities of Washington.